Is your school within the South West Peak? Do you want an afternoon or lunchtime club with a Wildchild twist? 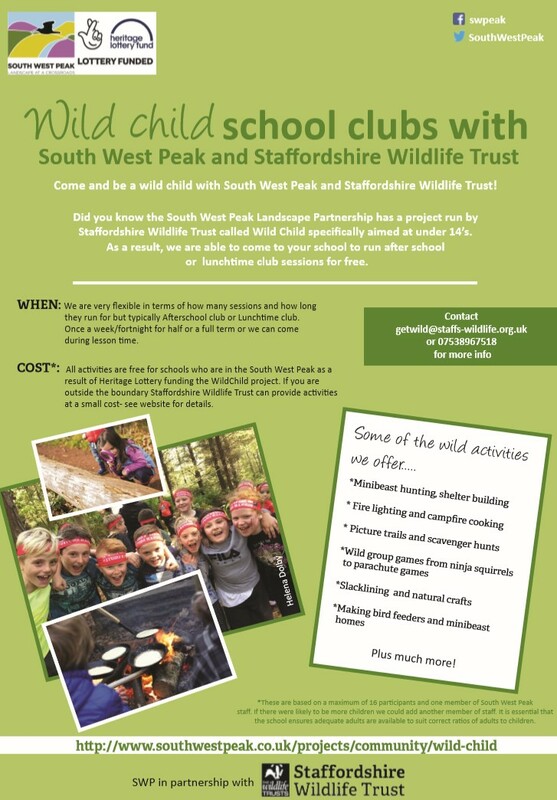 South West Peak Wildchild team can come to your school and deliver afterschool or lunchtime clubs for free. Please see the leaflet for more information.